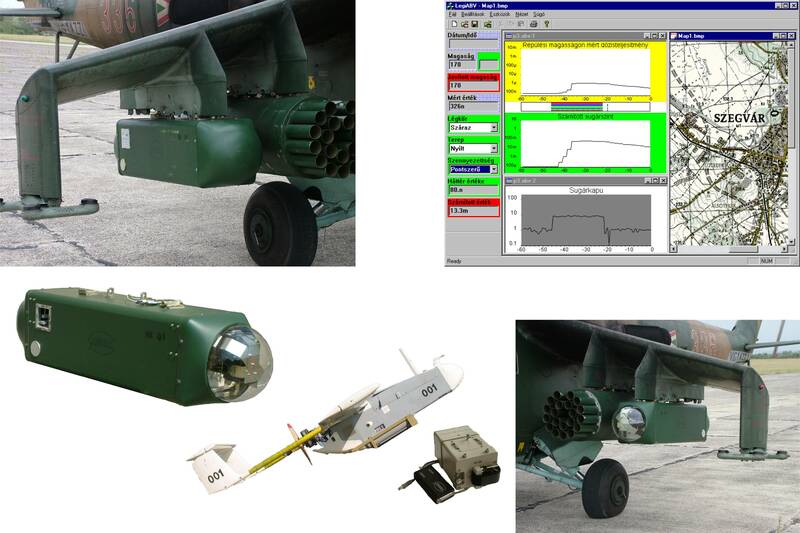 The LABV and RABV airborne nuclear reconnaissance systems have been designed for the aerial reconnaissance of widely contaminated areas after nuclear incidents, and for the localization of discrete radiation sources. Units: BNS-98 dose-rate transmitter, NDI-65/SK intelligent scintillation detector built in a lead collimator, GPS, barometric altitude-meter and data logger. The system calculates the radiation level of the contaminated area (referred to 1 m altitude) or the dose rate of a discrete radiation source from the dose rate measured at the ﬂying altitude considering the atmospheric and ground conditions. LABV: designed for helicopters and UAVs, equipped with GM-tube and scintillation detectors, 4 hours continuous, autonomous operation, ATP-45 report. RABV: designed for UAVs, automatic time constant, easily replaceable memory, data reader with USB port.